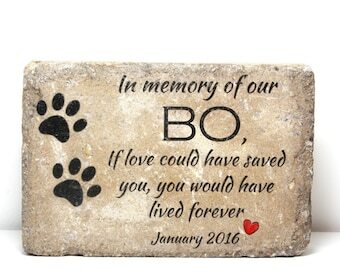 This is where you put any personalization info needed to complete the order. Name, date (if desired), and colors of flowers. 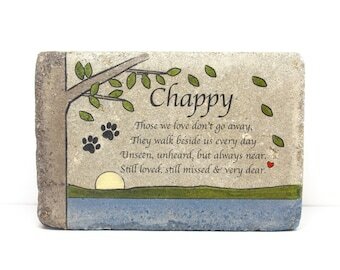 A Personalized Pet Memorial Stone. A perfect marker when you are looking for something simple. 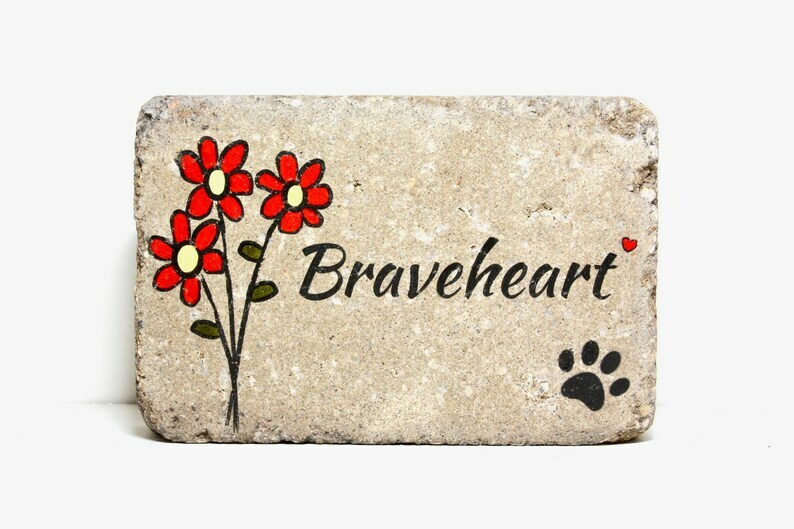 The name "Braveheart" will be replaced with the name of your beloved pet. 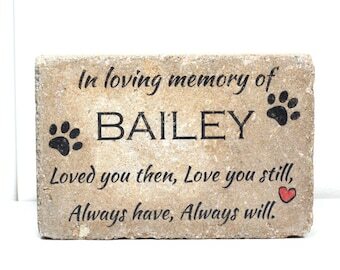 Beautiful, rustic and simple, this 6x9 stone is one that will be treasured for years to come. The flowers can be painted any colors. Shown are red flowers with yellow centers. 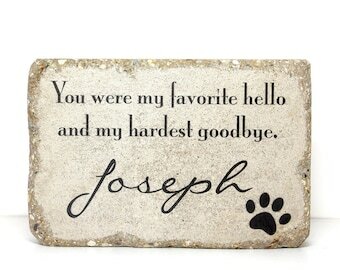 When you purchase, tell me the name of your pet in the personalization box. If you'd like to change the colors, choose from the color charts (3rd and 4th pic of listing). If you do not leave color choices, I will assume you'd like it made as shown. A date could also be added below the name. Dates can be any length.